Snorkeling is one of my very favorite things and something I have done a whole lot of the past year. 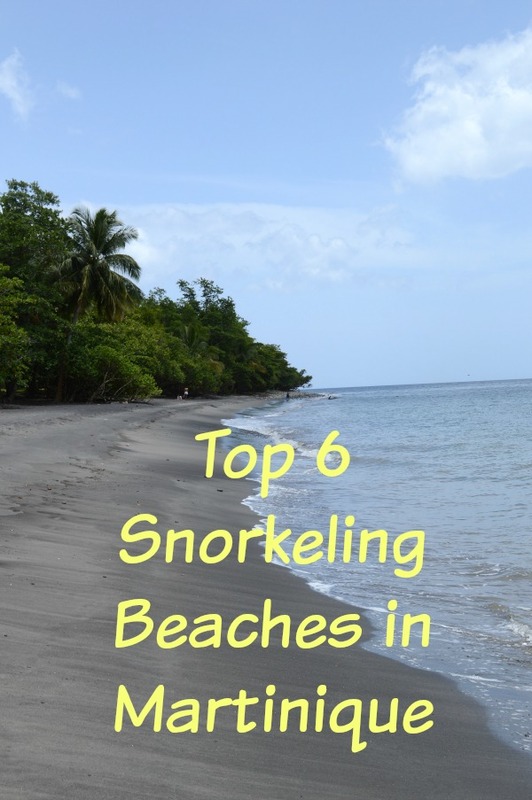 These are my picks for the top 6 snorkeling beaches in Martinique. Now, I am no expert, but having snorkeled a whole lot more than 6 beaches in Martinique, these are the ones I loved the most and the ones I returned to often. When my husband and I first moved to Martinique, besides skipping a cold winter, the things I was most excited for were living within walking distance to the beach and snorkeling often. I was seriously spoiled with both of these, as I lived about a 2 minute walk from the beach and I snorkeled several times a week. I researched the best places to snorkel and we started with the beach closest to our apartment. Anse Mitan is a great place to snorkel, especially if you are a beginner. The water is almost always calm and it is usually fairly clear. There are a lot of areas with rocks that have loads of different kinds of fish, but the beach area is not rocky at all. We’ve seen so many fish, lots of huge star fish, cuddle fish, eels, lobster and even manta rays. On the somewhat down side is that the beach to the north of the pier is crowded on the weekends and during cruise season, which is October through April. However, the ferry comes right to Anse Mitan from Fort de France, so that makes it very convenient. There are also restaurants on the beach, so you can spend the whole day there. Anse Ceron is at the north end of the island, on the Caribbean Sea side, almost to the very end of the road. The island isn’t that big, so it only takes about an hour to get there from Fort de France by car. This was the second beach we snorkeled and we were so amazed at the number and varieties of fish. We felt like we were on the fish super highway with all of the huge schools of fish we saw. If you swim out around the rocks, to the north, there is a small secluded beach there. A great place for a picnic, if you can get it there on a float of some kind. Snorkeling here in the winter months is hard though, because the water isn’t very calm, so use your judgement and don’t take unnecessary risks. We love snorkeling at Saint Pierre. We originally found this beach from stopping to take photos at the scenic overlook above the beach and looking down at all of the fish. This is a pretty rocky beach at the edge of the water, but not the rocks that hurt your feet. There are loads of fish, eels and lobster here, plus star fish and even the occasional turtle. If you swim out the to yellow floats, there are 2 huge sculptures of a mermaid and a merman. There is also a small reef if you swim out about 200 yards in front of the overlook. The best rocks for fish, eels and lobster are directly under the overlook. There are quite a few boats here and this beach has a lot of fishermen, so be aware of your surroundings. A personal floatation device so you are seen is also a great idea here. The water is fairly calm, so the swimming is easy swimming. This beach is also to the north of the island, at the base of Mount Pelee. The town itself is quite interesting. It has ruins from the 1902 eruption of Mount Pelee. It also has loads of beautiful doors and a great Saturday morning market. Grand Anse is to the south of Trois I’lets and is a very nice beach to walk, as it is fairly long. I love this beach for the starfish and the turtles. There are some very large, old turtles here that are tagged. 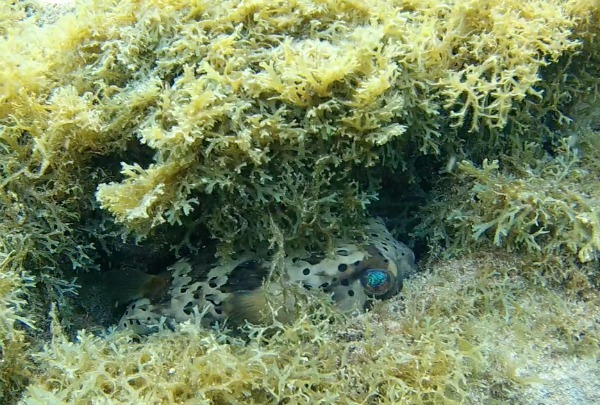 There are also some lovely fish on the small reef that is about 200 yards out from the beach. The water is very calm at this beach, so it’s an easy swim. The parking at this beach fills up pretty early on the weekends, so keep that in mind when you plan your trip. There are restaurants on this beach and a few tourist shops. There are also some tourist excursions that leave from Grand Anse. The water is usually very clear here as well. Anse Dufour is my favorite beach to snorkel by far. This is the beach with lots and lots of fairly social turtles, so of course I love it. Not only does this beach have lovely turtles, it has loads of fish, especially on both sides, by the rocks. All three of the next pictures were taken at Anse Dufour. The water at Anse Dufour is usually clear and very calm. It is a working fishing beach, so be aware of your surroundings. This beach fills up with visitors by about 11, with quite the hike to parking, so keep that in mind. We enjoyed it best early in the morning, before there were too many people there, or sometimes, none at all. 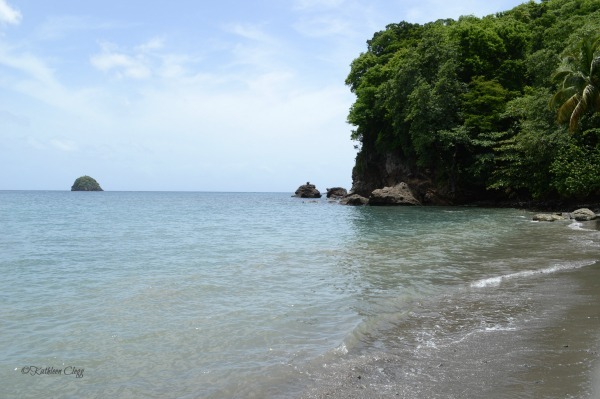 Just above Anse Dufour is a beach called Anse Noire, which is actually a black sand beach. There are loads of steps down to the beach and consequently, back up. We enjoyed walking down to the beach and snorkeling for a little bit and then snorkeling around the end, to the south, to Anse Dufour. The water is usually very calm, so it’s a fairly easy swim. 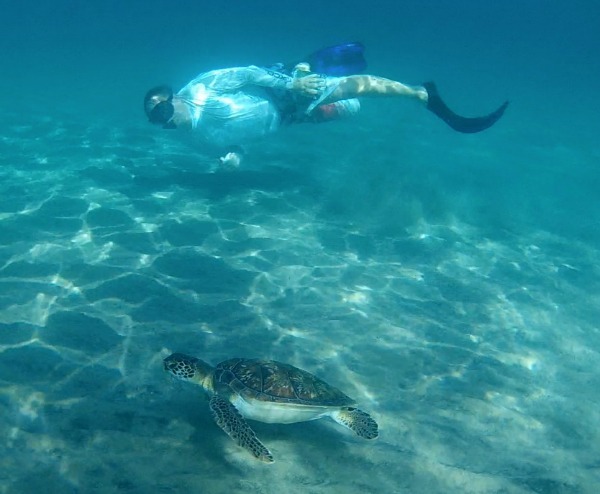 There are lots of turtles at Anse Noire, as they swim between Anse Dufour and Anse Noire. Les Anse d’Arlet is another easy to swim at beach, in the cutest little fishing village. One of the things I love best about snorkeling here is listening to the church bells ring every 30 minutes. They are so beautiful and they make it easy to tell what time it is. The beach here is very pretty and the best snorkeling is very close to the shore. Just look for the rocks coming out of the water to the north of the pier in front of the church. 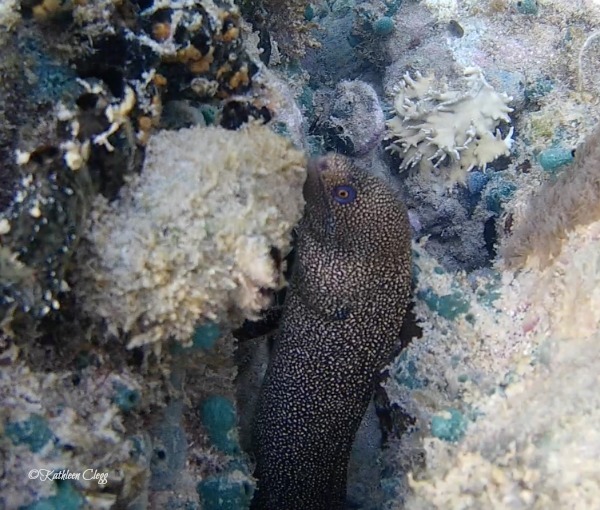 There are lots of fish on the reef and in the rocks here, plus at least 3 different varieties of eels and some lobster as well. It is not legal to catch lobster here, so leave those big boys alone. There are a lot of different companies that you can pay to take you snorkeling in Martinique. They will supply your gear and take you to the great spots. We didn’t pay for any of those trips because we could drive right to them and swim out some to see the very same things they were showing. We actually saw these tour groups in a few of the places that we liked to snorkel. So, we had fun on our own schedule and saved some money. 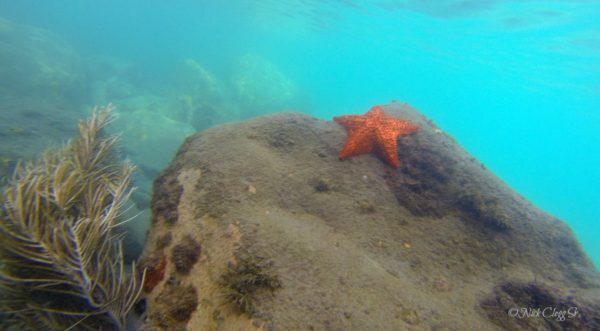 I hope this list of my top 6 snorkeling beaches in Martinique comes in handy for you. We loved snorkeling in Martinique so much and I can’t wait to go back someday and do it again. 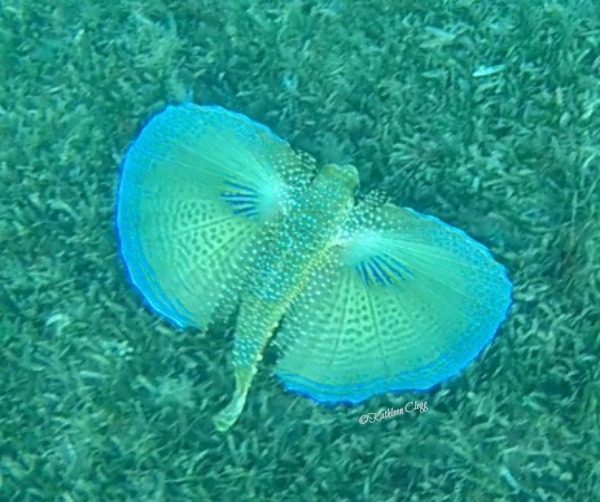 The fish around Anse Mitan look like alien creatures! 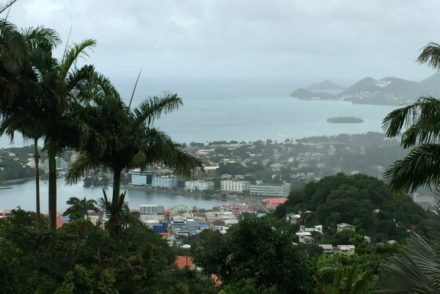 So diverse, Martinique looks like a prime snorkelling destination. It is a really great place to snorkel and explore. Wow what great photos! I love to snorkel and the list of beaches is fantastic, a good resource if I am ever in Martinique. 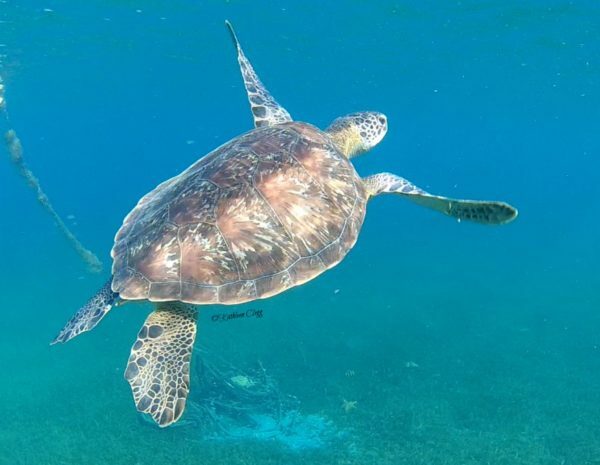 I have snorkeled with turtles in Hawaii and I love the experience, but it is too bad you can’t catch the lobsters what a feast that would be, lol. Thanks! There was a lot to photograph in Martinique. I’m pretty sure I took over 10,000 photos over the year. Snorkeling with the turtles was absolutely my favorite thing to do there, although the whole year was amazing! Snorkelling is the best! It’s totally like you open your eyes to another world down there. Anse Dufour sounds a treat for my money. Love hanging out with turtles! Lucky you living on Martinique! That is so true. Underwater is nothing like dry land. The turtles are my favorite for sure. wOW these dive spots are unbelievable. I fell in love with diving and I would definitely want to see all of these. I will be going back, that is for sure! I used to have a snorkeling phobia until I tried snorkeling in Hawaii. And loved it. Martinique looks like another ideal snorkeling destination. It’s my favorite thing to do, but I still get nervous and freaked out sometimes. Martinique is the perfect place to go though. I’m not a snorkeller but I’d love to visit these beaches anyway because they look so beautiful. The marine life looks amazing. The nice thing about the beaches for beginners is that the water is almost always calm. We taught quite a few people how to snorkel while we were there. Also, you can cheat and use a pool noodle to help you stay afloat. Those full face masks are really great for beginners too. I hope you get to use it too. Martinique was the best snorkeling I have experienced, although I have snorkeled in some pretty great places. So many great suggestions, thanks! I love snorkeling too and always have a great time exploring underwater. 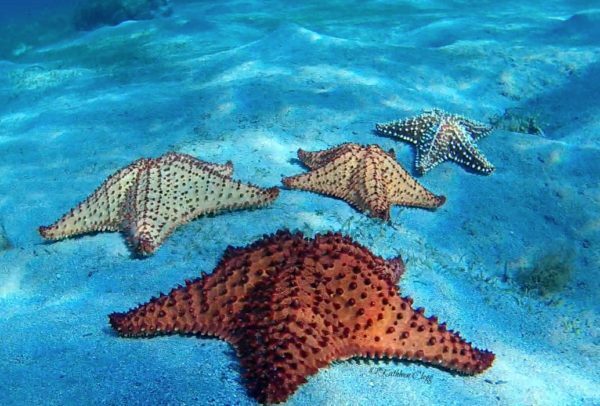 Fantastic photos of the all the starfish and sea turtles! All the spots sound great, but I think Saint Pierre and Grand Anse would be my first stops because I love the variety of marine life you mentioned! I really loved the snorkeling. I’m pretty sure I will be making my way back to Martinique soon. It’s someplace I will try to go back to often. I think besides the French, it is relatively unknown. Like a hidden gem. Those are creatures I’ve never seen before! Looks scary and interesting! Are there a lot of people who snorkel? 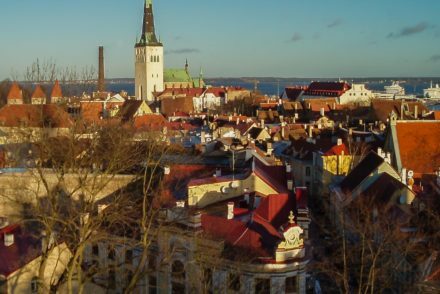 What do you think is the best time to visit? It is really interesting, especially when you see a new creature. Some beaches, like Anse Dufour, have a lot of snorkelers. When we went to the beaches at the north end of the island, we were either the only snorkelers or there were very few. The rainy season seems to be in the winter months, November through February, and the summer months are very humid. I think the best time to visit is probably March through May, although I loved the whole year. Wow! I went to snorkel in Great Barrier Reef this year and haven’t seen nearly this much variety!Definitely, Martinique is a good destination for this. Yes it is! We snorkeled at the reef in Belize, the second biggest one next to the Great Barrier Reef. 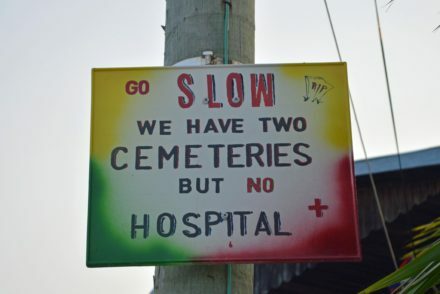 I saw much more in Martinique, although Belize was pretty great too. Oh my gosh, I can’t believe you can see all these things just by snorkeling! I just started diving and I wonder if there is good giving in any of these beaches, or if you don’t even need it?? 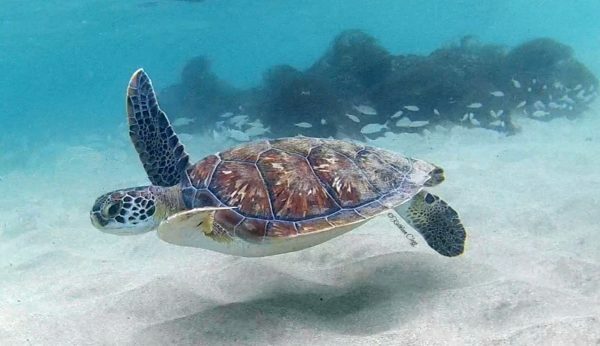 I would love to go swim with the turtles! Your photos are fantastic as well! Thank you so much. We thought about trying scuba, but changed our mind when we could see so much for free. We loved it more that I can express. I’ve only snorkeled a couple times, and this post has really made me want to do it again! I’d love to see cuttlefish, manta rays, and sea turtles. Besides (regular-type) fish, I’ve only seen eels. Thanks for all the info. Also, your photos are amazing! 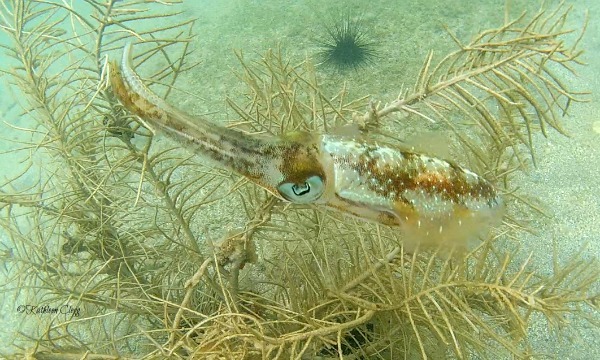 What type of underwater camera do you use? Thank you. I hope you will get out there and snorkel more. I have an ActiveOn CX Action Camera. I got it from Walmart at Christmas. It takes great video and photos. Such a fun post! These look like great beaches to snorkel. They really were great beaches. I loved it so much. My kids have never escaped the new england winters and I’m so pumped to take them to martinique for a big xmas present. Snorkeling is definitely on our list! I am fairly nervous, as none of us speak French. Do u have any suggestions for touring with this handicap? I’m so happy for you all. Martinique is such a lovely place. 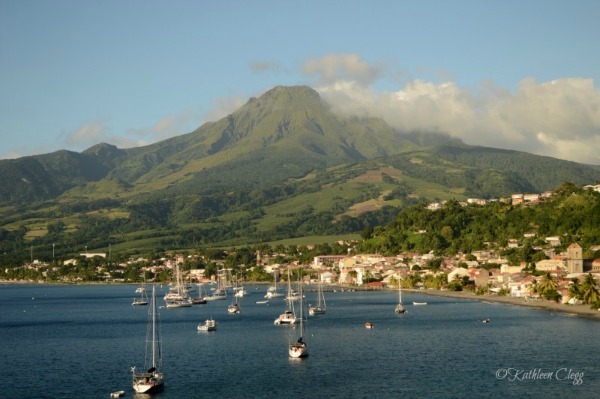 Check out my other posts on Martinique on the Travel Locations and Central America and Caribbean tab. Living there for a year was a dream I never knew I had. We loved it. We do not speak French and we had no trouble at all. You can find people who speak English every where you go and most places have English tour guides. If you decide to tour Fort Saint Louis, ask to have Maurice as your guide. He was so knowledgable. I’m happy to answer any questions you have. Have so much fun!